The Senate Government Committee voted to urge Congress to pass a border wall bill that is virtually dead. Sen. David Farnsworth, R-Mesa, who chairs the committee, introduced Senate Concurrent Memorial 1001 to urge federal lawmakers to “enact the Fund and Complete the Border Wall Act or similar legislation” at the request of U.S. Rep. Andy Biggs, who proposed that bill. The committee on Monday approved the measure on a 4-3 party-line vote. Legislative memorials, which have no binding authority, are often called postcards to Congress. Biggs’ bill tells the U.S. Department of Homeland Security to “design and install physical barriers, roads, and technology” on the southern border by the end of the year. 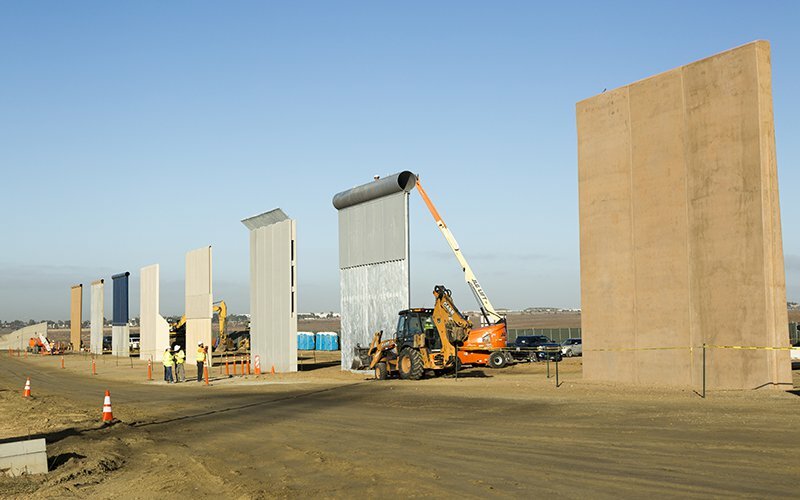 It would create a special fund to construct the barrier and buy vehicles for Border Patrol. It would also penalize countries from receiving foreign aid by cutting $2,000 per migrant from that country who is apprehended at the border. It would also tax remittances by adding a 5-percent fee to those international transactions. The bill was introduced in August, but it hasn’t been heard since and will likely will go nowhere now that Democrats control the U.S. House of Representatives. All four Republicans in the Senate Government Committee — Farnsworth and Sens. Sonny Borrelli, Vince Leach and Frank Pratt — voted Monday to pass SCM1001 while Democrats Lela Alston, Juan Mendez and Victoria Steele opposed it. Farnsworth told the committee he was born in Mexico City and said he “is well aware of the plight” of immigrants from Central America. Steele, D-Tucson, said she voted in opposition because a border wall will infringe in the territory of the Tohono O’odham Nation, which has 62 miles of international border with Mexico.